Now that summer is in full swing, experts are warning of an increase in cases of the Powassan virus, a tick-borne illness. This potentially devastating illness has been found to be transmitted by three different types of tick – the Ixodes scapularis (which is also known to transmit Lyme disease), Ixodes cookei, and Ixodes marxi. By Photo by Scott Bauer. – This image was released by the Agricultural Research Service, the research agency of the United States Department of Agriculture, with the ID k8002-3 (next). According to studies, 15% of people who contract the Powassan virus and exhibit symptoms will die as a result of the virus. It has been estimated that out of those that contract the virus and survive it, 50% will experience some type of serious neurological-based damage that will not resolve over time. Measures must be taken now to avoid contraction of the Powassan virus – especially if you live in a wooded area or regions that contain deer and woodchucks. Annually, there are already approximately 30,000 cases of Lyme disease diagnosed, according to numbers derived from the CDC; however, the agency states that as many as 300,000 cases may be unconfirmed each year. 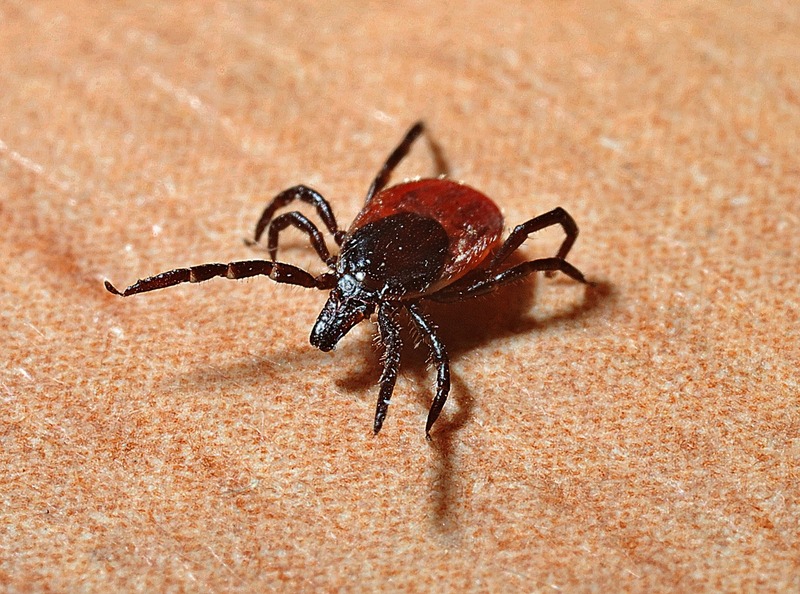 A research scientist that works at an Agricultural Experiment Station located in the State of Connecticut has received over 1,000 ticks to be tested since the beginning of April. In years past, this number was – at most – 5 in a month’s time. The warmer winters in the United States are believed to account for this excessive amount. Out of those tested, nearly 40% tested positive for Lyme disease. The more infected with Lyme disease indicates that more will test positive for Powassan virus. In addition to this, other harmful pathogens to human have been found in these ticks – all of which have the ability to causes severe infections, serious effects, and could even threaten life. The Powassan virus was originally discovered in the year of 1958 in Ontario. A child developed an unexplained case of brain inflammation. Being that it was the first time that scientists and medical professionals had ever seen the virus, they named it “Powassan” after the town where the sick child resided. In the past ten years, only 75 cases have been reported in the United States; however, since the rapid and large developments of tick infestations as a result of warmer weather, experts believe that this number will increase dramatically and soon. The summer months to the mid-fall months is when the ticks that carry this virus are the most active. As a result, it is during this time period that professionals expect to see an increase in infections among people. Currently, there is no vaccine to prevent the development and spread of the Powassan virus. Additionally, there is no confirmed treatment for the virus. While doctors do provide fluids through IV, antivirals, and even corticosteroids to those confirmed to have the virus, there is no set conclusion that any of these treatments are effective. It is difficult to successfully identify ticks unless you hold a degree in entomology. As a result, you must take measures that will protect you and your family against all ticks. You must have your home and surrounding area treated with pest control that contains DEET and/or IR3535. Pest control that contains picaridin is also effective.